Biochar is a new approach to improving soils based on the ancient practice known as “Terra Preta”, where soils in the Amazon were enhanced by the addition of charcoal. . Since any agricultural utilization of biochar starts with obtaining the biochar, and since biochar is not yet a widely available commercial product, one challenge is obtaining reasonable quality biochar. This memo outlines a simple device and method for making small quantities of consistent, high-purity and easy-to-use biochar, suitable for home gardeners for use in potting soils and gardens. One method of making good quality biochar is called Top-Lit UpDraft pyrolysis, commonly referred to as “TLUD” (Tee-lud). The TLUD principles are explained in various resources (just Google “TLUD”), but also will be evident in the discussion that follows. 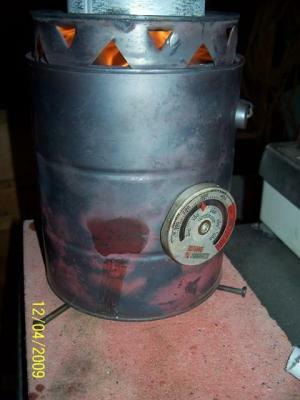 TLUDs were developed as cook stoves, but can be operated to produce biochar. The “1G Toucan” is one of the smallest and simplest TLUDs to make. It is made from two tin cans (hence the nickname “Toucan” – the large-beaked tropical bird that is used as the unifying nickname of the author’s TLUD designs). The “1G” designates that the main can is a clean empty one gallon paint can, available new for under $5 at many hardware or paint-supply stores. Be sure to get the paint can lid and handle when you buy the paint can – you will need them. The second can is a #10 tin can described later. Instructions are in the attached pdf.